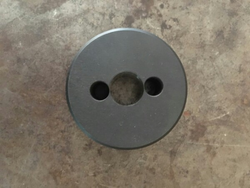 We offer a wide range of ferrous and non ferrous machined components that is widely catering to the requirements of engineering and automobile industry. 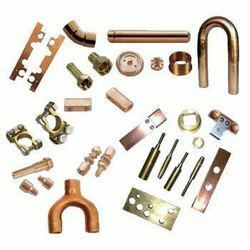 These ferrous and non ferrous machined components are manufactured as per the international standards and are appreciated for their high performance and low maintenance. We work will all kinds of materials - steel, cast iron, Alloy steel, Aluminum, Brass, Bronze, Plastics, rubber, composite materials etc. We also offer Ferrous Components, which are durable and manufactured as per the standards set by regulatory bodies. These anti-corrosive components are dimensionally precise and are available in various designs, sizes, and shapes. Further, these components can be customized at manufacturers end. We offer high quality range of European(En-Series) Steel machined components. It is manufactured from high grade quality raw materials. These products are heat treated, chemical treated and machined as per customer requirements. Our range is widely demanded by the client. We offer our range at market leading prices. We manufacture and export precision Ferrous casting components, which are especially designed for various industrial purposes. These are appreciated for their re usability, simple assemblage, and durability. Having leak proof joints, the non-ferrous casting components are suitable for low as well as high pressure castings. we are supply of Ferrous and Non Ferrous Machined Components For Engineering Industries.